the tester is designed according to GB 14232.1-2004 (idt ISO 3826-1:2003 Plastics collapsible containers for human blood and blood components -Part 1: Conventional containers ) and YY0613-2007 "Blood components separation sets for single use, centrifuge bag type". It applies an internal air pressure to the plastics container ( i.e. blood bags, infusion bags, tubes, etc. ) 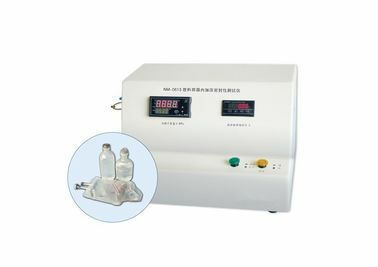 for air leakage test , in use of absolute pressure transmitter matched with secondary meter, , it has advantages of constant pressure, high precision, clear display and easy handling. Positive pressure output: settable from 15kpa to 50kpa above local atmospheric pressure; with LED digital display; error: within ±2%of reading.